According to a number of reports, defenseman Dmitry Osipov is expected to attend the Blackhawks training camp as a free agent. Osipov, who turns 20 on Oct. 4, is an intriguing player. 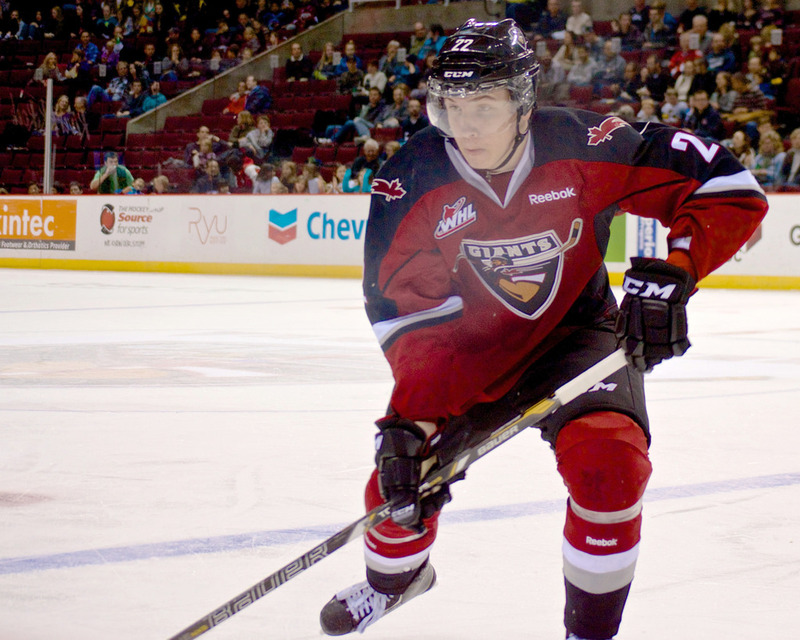 A right-handed shot from Moscow, Osipov has not been drafted and is expected to enter his third season with the Vancouver Giants of the WHL – unless he signs a professional contract. He is listed at 6-4 and 207 pounds. He posted two goals and 10 assists with a team-high 102 penalty minutes in 72 games last season with Vancouver, playing on the same roster as Blackhawks prospect Radovan Bondra. Bondra, a fifth round pick in 2015, had a good prospect camp this summer. The Blackhawks have plenty of defensemen for both the NHL and AHL rosters, but Osipov is a player they’ll easily be able to keep tabs on if he’s back with Bondra in Vancouver this season. He has already played 3 years in the WHL, so if he goes back this fall, he would be 20 years old. I wonder if he is eligible to play in the AHL if the Hawks sign him or if he has to go back to Juniors? Great question! how are his skills? that would be what I’m more interested in. Does he play smart, or can he be developed that way. Mr. Seabrook is not going to last forever. The Hawks always seem to find guys! Who is this kid? Take is link with a grain of salt but honestly there isn’t much on this kid. SSHM- good find… another Zero risk/big reward??? He’d be able to go to the AHL. Sign him to an AHL contract and put him in Indy. Take +/- with a grain of salt…But Bondra was a team worst -32 in 58 games. Osipov Was 4th worst with a -23 in 72 games. Guys… so TvR could be a “chip” to trade for some forward help like a Pulkinin or Armia type… yes these guys aren’t Saad or Sharp… but have some potential to be more than “just a guy” guys… especially when palying with a Kane or Toews. .. If the Hawks look to move a defenseman, we believe Svedberg, Gustafsson & Pokka would be in line ahead of TvR to be moved. And there could be a market for Gustafsson and Pokka (possibly Svedberg as well). Rockford’s blue line doesn’t have a lot of room before the Hawks send 3-4 guys down at the end of camp, so the battle for roster spots in Chicago and Rockford will be interesting. 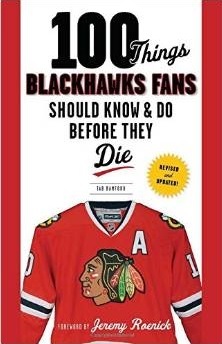 With that being said, most indications right now are that the Hawks will go into camp wanting to see what they have in Schmaltz, Motte, Hinostroza, Kero, Hartman and Baun. Also remember there are guys like Martin Lundberg and Dennis Rasmussen are in the mix. Lots of bodies for limited spots. A guy like Desjardins might be in play as well. Tab, you are spot on. Hawks are committed to trying the kids. They are also going to be very judicious with the $ 2.4 million in cap space they have. The Hawks are also a bit higher on Pokka than they let on. They like him a lot. None of this is really cutting edge stuff, just late August crumbs. I’m aware if that Dave. By signing a player to an AHL deal, that would mean the Hawks still have him under their umbrella. As noted the blue line is full in Rockford. They could do the same thing they did with Nick Mattson. He signed and AHL contract with Rockford, and played a majority of games in the ECHL. Hockey Fights shows Osipov`s Fight Card this year. 3 Fights that I could see. He`s got some size. Looks like he can skate. van Riemsdyk has marginal trade value. He’s a limited skill defenseman. Guys like him grow on trees. His value is greater to the Hawks right now than what his trade value would be.